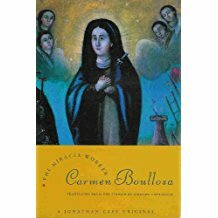 This entry was posted on August 6, 2017 at 7:20 pm and is filed under Carmen Boullosa, Lost Books. You can follow any responses to this entry through the RSS 2.0 feed. You can leave a response, or trackback from your own site. Yes -she looks to have written a number of novels. I though the Deep Vellum translations were the first until I came across this. I certainly plan to read more of her work. I hadn’t heard of her either but it sounds very good. A definite one to add to my pile regrettably. Definitely worth checking out, though I also share the dream of hearing of no new books for a year or two! I placed an order today for a copy, so we’ll see how I get on!